The claim to this autoresponder is that you will only have to pay a one-time fee, no more monthly charges and you will take “back control” of your list from the companies that provide the services like Aweber, GetResponse, or MailChimp, just to name a few. The sales video is really good actually. So good, I decided to buy it myself to test it out. Of course, hoping that it would be everything the video said it would….unfortuantely I was greatly disappointed. Who is IMSC Rapid Mailer For? Honestly, I don’t think it is for anyone. The reason being is that Rapid Mailer doesn’t allow for a double opt-in. This is important for your hosting and for any email service you may use. If you email a whole bunch of people at once, especially more than the maximum allowed by your host, usually 500 per hour, it will appear to your host that you are spamming people or it that this is your mailing list. Since it is your mailing list, your host will want to know your list has been provided an opt-in to confirm they want to be on the list. With Rapid Mailer, you won’t be able to provide that information and will be suspended from email activites from your own host. Rapid Mailer doesn’t allow the customer to do what we purchased it for in the first place. That is what I mean when I say, I don’t think Rapid Mailer is for anyone. What Type of Training & Tools Does IMSC Rapid Mailer Provide? They do provide some video training but it does get into coding really quick. The videos themselves are of descent quality but if you are not a tech person or not willing to learn the tech stuff from other sources, then the video training will be quite useless to you. What Type of Support Does IMSC Rapid Mailer Offer? I sent in two email support requests. They were very responsive to both, within 24 hours. The reason I sent the first email request was because I couldn’t activate the plugin. They second email request I sent in was for a full refund, which they responded to within 24 hours and gladly refunded me my money. If you go to the website, listen to the sales video, the first initial offering is $67 to buy the plugin, which you can use on mulitple sites. But if you click on the “no” you don’t want it, then they downsale you and offer the plugin for use on only one website for $27. And there is a 30 day money back guarantee. Whether you are very familiar with coding or not, this product isn’t for you. The product doesn’t follow the opt-in rules and others that will get you blacklisted from your own host and email service provider. To make sure you stay within emailing rules and regulations, and not have to deal with any of the behind the scenes stuff, like hosting and IP addresses, I recommend you go with GetResponse. They are the best bang for you buck, hands down. If you have any questions about IMSC Rapid Mailer or any other autoresponder or would like to share any experiences you have had with autoresponders, please leave them below, it is greatly appreciated. Mailchimp Review: Does Free Mean Better? When it comes to this email autoresponder, the biggest factor that makes MailChimp different from their competitors, and why most small businesses are drawn to them, is that they offer a completely free, no credit card required, membership to use their service…..so is free really better? Let’s find out. Here is the deal, nothing in life is actually free. And the same goes in the business world as well. What I mean by that is, you get what you pay for. If you are the person that expects to have 24/7 customer support at your fingertips, without paying for it, then not only is MailChimp not for you, but no other service is! If you are looking at MailChimp because of the FREE account membership, then I need to set some expectations. First, know that you are limited in the free account and are not able to access all the tools as opposed to a paid membership(and rightly so, I might add). Also, know that after your free account has been open for 30 days you will no longer have access to online chat and email support. You have access to all the training tutorials and videos but after 30 days, say goodbye to any customer service support. You are on your own at that point. Now if you are ok with all of the above, if you’re ok with putting in the time it will take to find the right training and to implement that training, from your own research, then the MailChimp’s free account could be for you. If not then I would recommend one of the paid memberships. There are over 50+ video tutorials ranging from subjects like Getting Started, to Building a List, to Creating Campaigns, to Integration and Automation. 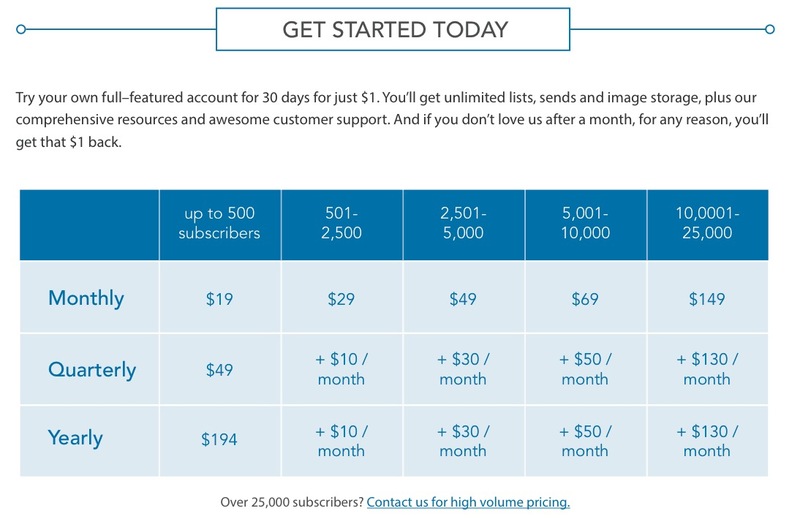 For the newbie to email marketing, they have a Getting Started PDF and a Getting Started Newsletter Series with a step by step guide of MailChimp’s basics, that you can subscribe to. MailChimp has all the basic tools to from templates to format an email, to sign up forms, to Analytics 360 which helps you track all your activity/click through rates of your emails sent. What Kind of Support Should I Expect to Receive? To expand on what was said earlier, MailChimp has no customer support phone number you can call. Now I can understand that for a non-paying, free membership type customer, but the same is true for a paying customer as well. 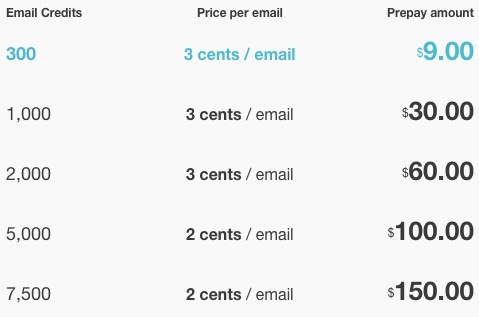 So if you need MailChimp at the beginning because it is free then so be it. 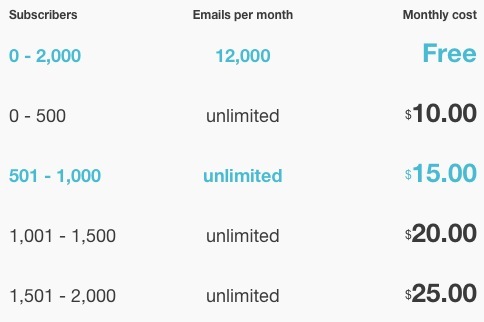 But if you’re list is about to bust through the “free” membership account, and you’re gonna have to start a paid one, then I would expect to have access to talk to someone on the phone if needed….MailChimp doesn’t see it that way. Once you get between the 501-1,000 subscriber category, $15/mo, there are many other competitors, like GetResponse and Aweber, who offer more templates, training, tools, support and allow for an additional 1,000 subscribers at the same cost, $15/mo. 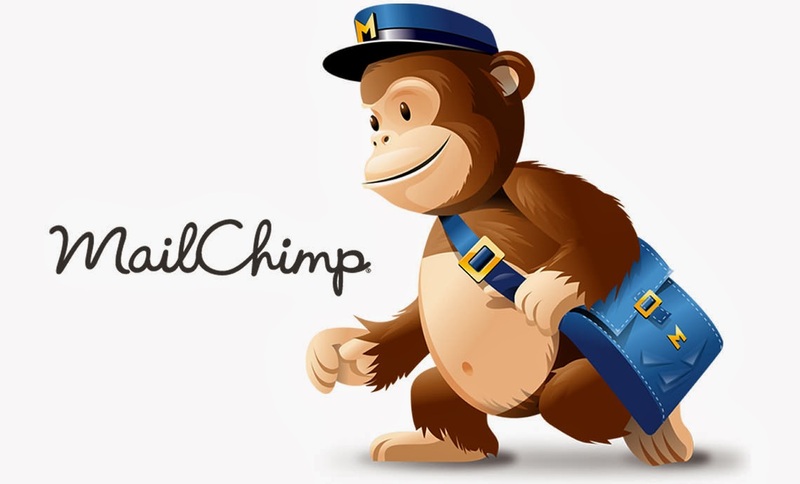 I think MailChimp has a niche, and it is the beginner, not in a rush to build a huge list right away, type of internet marketer. It is for the person that is still learning about what internet and email marketing is all about. And there is nothing wrong with that. If you are on a low to no budget for your online business then MailChimp is definitely for you. In fact, there is no other email autoresponder service that provides the “free” account as MailChimp does. But if you are not a beginner. If you already have a list of subscribers larger than 500 or you are about to create a new list, and through paid advertising like solo ads, will grow your subscriber base past 500 in just a matter of days, then there are better and more cost efficient services out there. If you have any personal experience with MailChimp, good or bad, please share it with our readers below, it is greatly appreciated. Best free keyword research tool. Finding the best, most quality keywords for your content is crucial to getting found on the search engines. Use the best keyword research tool below. Enter your keyword below to start your research. 1) Monthly Searches – This is something that most keyword tools have and rightly so. This records how many searches were done in one month by a particular keyword. Remember, the more quality content you have, the more keywords you will have for search engines and it will start to compound. 2) KQI aka Keyword Quality Index – This provides immediate feedback combining all the different metrics whether or not a particular keyword will do well with PPC or SEO. 3) QSR aka Quoted Research Result – All four of these metrics are great, but this one takes the cake. This lets you know exactly how many other websites are out there with the exact same keywords you just entered. This lets you know your competition. If you get 400 you’re pretty likely to get ranked, but 300 or less and there is a great chance you can get on the first page. 4) SEO aka Search Engine Optimization – This lets you know whether the keyword(s) you typed in are are good for rankings. If you get ranked you will get traffic. If you get traffic, you will make money. Well there you have it. The top 4 metrics for quality keyword research. If you have other keyword tools you use and it has something different than the above, please let us know with a comment below. Aweber: How Does it Compare? 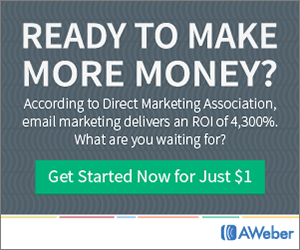 Aweber is an email autoresponder service company. It is consistently ranked in the top amongst its peers. After writing my review on GetResponse, I got tons of feedback requesting me to do a review on Aweber as well. So with out further a due. Aweber is for anyone looking to build a list and is looking for an easy to use system. The company has easy step by step system, they walk you through, to create your own forms and newsletters. As I mentioned above they do provide a PDF on how to build your list to 5,000 subscribers, but they charge you $29 for it. At least you can get a full refund if you are not satisfied. The training is good, but there are other autoresponder companies, like GetResponse, that provide this for free and in video format so you can learn on the go. They do, however, provide an extensive video library of training from “Getting Started” videos to “How to Create a Sign Up Form,” to “Creating Follow up Emails,” “Creating a Broadcast,” and the list goes on and on. They currently have 178 different training videos and they continually are adding to that. What I really enjoyed about Aweber is their blog. You can subscribe to it and start receiving great email marketing tips and you can go back and browse by topic and view any you missed. They also have over 30 email marketing guides, PDF, format, that cover an array of topics. And last but not least they have live webinars weekly that you can sign up for over various subjects. They have their Email Template Manager and Broadcast Templates. Their reporting tools and analytics allow you to perform event tracking, which allows you to track subscribers as they navigate through your website. What Kind of Support Should I Expect from Aweber? Although, Aweber has 7 days a week phone support, email, and text chat(which is kinda cool) they only provide these services Monday-Friday 8am-8pm EST and Sat-Sun 9am-5pm EST. They do not have 24/7 support. I have noticed, after using several different email autoresponder services, that my preferred method of getting support, especially when I have just a couple of quick questions, is online chat, which Aweber does not have. I would rather continue working online, and type a quick online chat question, then stop what I am doing, to make a call. When I first got started and was new to online marketing and email autoresponders, I worked mostly at night after the kids went to bed. Most customer phone support is closed after 8 or 9pm. Having access to customer support 24/7 was vital for me. This is where Aweber falls short. What’s my cost with Aweber? Aweber is definitely one of the top in the industry there is no doubt about it. My personal preference, and choice of email autoresponder, is GetResponse, mainly because of it’s 24/7 online support it provides, the landing page creator, the survey ability, and I felt the user interface was easier with GetResponse than Aweber’s. That being said, Aweber has more email templates than anyone in the industry, over 6,000 stock photos to choose from, and if you like phone support, they have it available 7 days a week. I Rank it a 90 out of 100! Take a test drive with Aweber today, and see if it is right for you! If you would like to leave your own personal experience with Aweber, or have any questions, please comment below. It is greatly appreciated. GetResponse Review: Is it right for you? 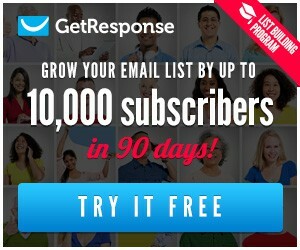 GetResponse is an email autoresponder service company. It is one of the most popular companies within its industry so it made sense to write a review about it and see if it was as good as the rumors say. GetResponse is great for marketers that really want to plug in and play. It is very user friendly and many of the forms, banners, videos, and other marketing features and for the most part made ready to go and have very little room for customization. Those are just some of the most popular tools used. Not only do they have some basic training like their “Quick Guide to Getting Started” PDF which is really good for some basic “how to” stuff on their site, but they have a “10,000 leads in 90 days program” or 180 if you feel you might need to a little more time to complete it. Regardless of which you choose, the training is fantastic. Lots of videos and how to PDFs to show you how to generate that size of a list. I have seen lots of packaged training to generate huge lists in a certain amount of time, and they sell anywhere from $250-$2,000! What kind of Support should I expect with GetResponse? Not only do they have great tools and training but they have great support as well. Their phone support is available Monday-Friday from 9am-5p EST. But it is there 24/7 live chat, that I am very impressed with. I had a question on a Sunday at 11:00am, I clicked on the live chat button, a nd within in 1 minute there was a representative on the other end asking how they could be of help! They have an expansive FAQs list, most of them have videos explaining the answers, over 25 PDF Manuals and over 100 Video Tutorials covering subjects from Building Your List, to Email Creation, to Landing Pages, Social Integration, and the list goes on. Most of these videos could really fall under training, but GetResponse has this under their “Support” section so I thought I would do the same. What’s my out of Pocket with GetResponse? If you know that GetResponse is where you want to be for awhile opt in for the Annual Plan and get an 18% discount. What is also just as cool, if you are 501(c)(3) non-profit, you will receive a 50% discount for the life of the account! Despite some of the cons, all in all, GetResponse lived up to the rumors and hype, and is one of the best bang for your buck within the Email Autoresponder Industry. Click here to start your 30 day free trial today. I rank it a 95 out of 100! If you would like to leave your own personal experience with GetResponse, or have any questions, please feel free to comment below. It is greatly appreciated.